Color: Camphor oil can be found on the market under three different colors or fractions. Brown and yellow camphor are considered to be more toxic because they contain a higher percentage of safrol, and should not be used for therapeutic uses. It is a colorless pale yellow liquid. Brown camphor is the the middle fraction and yellow camphor, a blue-green or yellowish liquid, is the heaviest. Scent: Sharp, camphoraceous, woody undertone. Benefits, Indications: Camphor oil can be used in the treatment of nervous depression, acne, inflammation, arthritis, muscular aches and pains, sprains, rheumatism, bronchitis, coughs, colds, fever, flu and infectious diseases. Since this oil can be toxic, it should NOT be used in aromatherapy massage, but could be used in vapor therapy to ease respiratory problems. In some cases it can also be used in compresses. More Info: Camphor oil is a balancing oil, it can sedate the nerves and uplift apathy. It can help with feeling cold and reduces inflammation. It is used with great effect to repel insects such as flies and moths. It also has a positive effect in colds and flu, infectious diseases, bronchitis, coughs, and can assist with muscular pains, rheumatism, sprains, arthritis etc. It is sometimes used in cases of cardiac failure, in combination with other medicines. It is also beneficial in the treatment of epilepsy, hysteria, viral diseases like whooping cough, measles, flu. food poisoning, infections of the reproductive organs, and insect bites. Precautions: Camphor oil is a powerful oil and should be used with care. 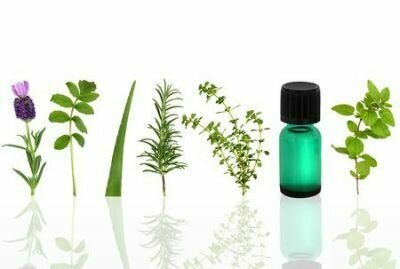 It is not really used in aromatherapy as it is classed as a convulsant and neurotoxin. Overdosing can cause convulsions and vomiting and pregnant women as well as people suffering from epilepsy and asthma should not use it. Avoid with homeopathics and while pregnant. May cause skin irritation. Brown and yellow camphor (containing safrol) are toxic and carcinogenic and ‘should not be used in therapy, either internally or externally'. White camphor does not contain safrol and is relatively non-toxic, non-irritating and non-sensitizing. It is however, an environmental hazard and marine pollutant. Transcriptome analysis and identification of genes related to terpenoid biosynthesis in Cinnamomum camphora.